A night of great variety performances culminated in a truly special headline set from funk legends Stretch Soul Gang. The night kicked off with comedy, with four comedians all sharing the spotlight with their rib-busting humour, Bimi Adeyi was the pick of the bunch here though tonight showed that the comedy circuit in the area is one what is certainly up and coming. Before the musical sets, the audience were wowed by the wonderful words of poet Joanna Hagan-Young. She certainly didn’t disappoint here, and her poem We All Came Together written about the Fringe, was without a doubt the highlight of her delightful set. Kicking off the musical side of proceedings was country soloist Lucy Grubb. 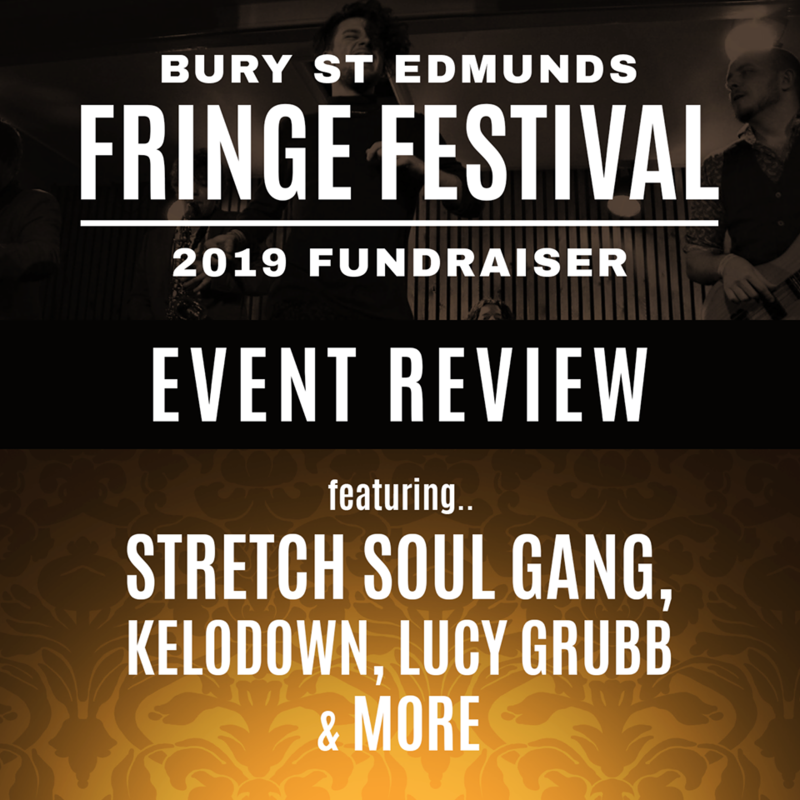 In this year’s Fringe, Lucy deservedly won the Bury Songwriters Competition with the stunning 18 Miles, a track performed live with so much heart and passion. Other tracks played during her short set were from her 18 Miles-named debut EP. She truly is an artist to look out for, because she is definitely set for bigger things. BurySOUND finalists Kelodown warmed the crowd up for the main event with their joyous brand of hard rock. Though the band are of a young age, they instantly interacted with the large audience and showed off their experienced stage presence with shredding riffs and extreme amounts of head banging. We’re still awaiting new music from the five-piece rockers, but as soon as we have news on that we’ll let you know! It was well-documented that on Friday night I was meant to be attending the Craig David gig in Newmarket, but as soon as this event was announced I sold my tickets. Why you ask? Because Stretch Soul Gang are arguably the best live band in the region. The band played a similar set to the one at Homegrown a few months earlier, but as always the audience were up on their feet dancing away to their amazing original tracks like recent single Open Up Your Eyes and the sweet Poncho Villa. Upcoming single Ungrateful is a track that always goes down well, but as soon as they jive into Ain’t Got No Money that’s when you know you’re watching something truly truly special. New music is almost certainly on its way… see these lot when you can, they are epic. Thanks to Jan Roberts for the use of his images in the article.